I hope you enjoy John’s article this week as it’s chock full of great urban fantasy ideas. Sometimes good ideas are half the battle when planning, and a single spark can inspire you to design a terrific and memorable session. While there are a few D&D terms and references in it, even if you’re not a D&D GM I still highly recommend skimming the article as the ideas in it are quite entertaining and inspirational. Our first book: NPC Essentials is a collection of tips, techniques, and aids designed to help game masters inject detailed NPCs into any role-playing campaign. Inside, readers will find advice on designing, role-playing, and managing NPCs during the entire lifetime of their campaigns. Also included are NPC archetypes, charts, and an example NPC-centric adventure. Written by that hack writer Johnn Four. 🙂 Now available! Cities in a fantasy game can be quite a bit different from cities in a real-world setting. The influx of magic, dark religion, and sinister creatures can drastically alter the way a city operates. A fantasy-based city administration has to branch out to provide a variety of services to accommodate such a reality. Businesses also evolve to offer a variety of wares that cater to a magic-using populace. Manufacturers also may branch out into similar territory, using spells, magical devices, or odd beasts to help boost their output. With so much magic and diversity, a fantasy city will also develop a variety of landmarks and locales that offer particular benefits to a fantasy citizenship. This high-magic aspect provides game masters with an immense amount of leeway in creating a city. Below are some examples of the possibilities. In my D&D campaign, every big city has a “Gravediggers Guild” that’s not-so-secretly under the control of death priests. As the law of the land goes, if nobody claims the body, the priests of Nerull can use the corpse for their own (sinister) purposes. This gives the slimy necromancers an air of semi-tolerance in the campaign world and provides me with an unending supply of low-level bad guys. My PCs have grown to hate the Nerullians, and they do every thing they can to thwart their operations. The people who clean up the garbage are another great source of information. They know every street and they know everybody’s dirtiest secrets. This specialized team is prepared to battle anything from giant beetle infestations to a sudden rash of ghouls. Most are urban rangers, whose favored enemies are Vermin, Animals, and Undead. These military men can be normal warriors if need be, but I try to pack them with the Improved Trip feat and halberds. By getting their prey to the ground they immobilize them. A Run feat, ability, or skill is also helpful when they chase after their quarry. Improved Bull Rush helps them in crowd control. A Charm Person Potion can also keep troublesome suspects under control. When the regular guard can’t handle an unruly magician or monster, they call in the big guns. Loaded with Wands of Dispel Magic (to counter magic-users) and Growth Potions (to tackle invading monsters and herd unruly crowds), this group can contain any adventurer class, and it’s an ideal way for PCs to get some extra cash. Just like Chicago of days past, have the king, mayor, or regent possess relatively little power compared to the ward bosses who are constantly at war with one-another. They each have their own guard troops. They each vie for the biggest kickbacks. They each battle to extend their territory a little further. It’s their shady dealings that bring the worst elements into a city. Some cities contain a large populace that’s completely opposed to magic. These hysteria-prone people are likely to form a committee or union in which they actively seek to rid the area of all magic users. They function on a variety of levels. Some hold “witch trials” to ferret out any unearthly beings among them. Others actively lobby the city government to ban all magic activities and persons. Still others form armed militias to kill any magic use at all. No matter what, such an organization is likely to cause all sorts of trouble to adventurers, especially if its leader is actually an incognito evil wizard. Sure, you can do it the old fashioned way by having someone ride a horse here or there, but with magic it’s completely different. Why not have a business run by someone with a Wand of Animal Messenger. This allows for discreet and nearly instantaneous communiques to dart all over the city? as in “a little birdie told me”. While many clerics offer such a service to worshippers, some do it for a fee to anyone, with no questions asked. Such a healer would be a valuable source of information and gossip. Not only do bookies have gambling on their minds, they also arrange all sorts of games of chance. They build arenas and rings that seat dozens. They need security and who better to provide it than some seasoned adventurers? Others (as suggested in a previous Tip issue) set odds on adventurers departing on quests. Surprisingly, not all high-level wizards and sorcerers are bent on world conquest or discovering the most deeply buried secrets. Why not have one or two in a city have a massive golem that is rented out to assist with construction, excavation, and other mundane tasks. Remember, like real- life robots, golems don’t have to have two arms and two legs. Why not one on wheels? Or one with removable hands that can be replaced with tools? In a similar vein, wizards aren’t just used to rain fire on a pack of gnolls. Some can take much more mundane jobs, including providing services like cooling and freezing food, lending their telekinetic spells to construction work, powering machines, lighting lamps, and other everyday tasks. If a city is large enough, it might have an entertainment district with a for-profit museum featuring the stuffed corpses of all sorts of odd creatures and monsters. There, adventurers might be able to sell their more fantastic kills. Additional displays could include playful magical devices (such as a ring of Mage Hand or Prestidigitation) that gives commoners a taste of the thrill of magic use. Similar businesses might be based on a “theater of the mind” in which a wizard casts an elaborate illusion to wow audiences. Kind of like a mass butcher shop, a magically operated abattoir could be a dangerous place to be trapped within. Additionally, the abattoir is likely to be a major attraction for the city’s vermin and flesh-eating undead. The sewer directly underneath such a place would be especially foul. For most cities, this is the only place to get a supply of semi-fresh water. Because of this, it’s often crowded and busy with commonfolk who are not only there to bathe and scoop up water, but to gawk, gab, and gossip as well. Fountains and pools aren’t as fancy or ornate as they are nowadays either. Mostly, they’re just a big bricked up pool with fresh water gurgling to the top. A fountain is also a great place to stage a battle. These are almost always set apart from the regular graveyards. They are in the ritzy section of town and kept immaculate. And they’re also the perfect roost for a vampire or lich. A key place for the city advisors to consult the fates. The tower is a looming structure that shoots high above most other buildings and has a wide, open top. Just remember it doesn’t say “thieves guild” on the front of the building. Guilds can hide anywhere. Places like bars or the “catacombs beneath the city” are the norm, but why not have them just control a particular street where the city guard won’t follow? Kind of like the street gangs of today.Even better, mask the thieves guild into something mundane but in an interesting local, such as a meat warehouse where there’s frozen meat everywhere or at a pottery manufacturer with a giant kiln that’s perfect for disposing bodies in. A block-like building where the city stores its weapons of war. Inside, PCs can find siege weapons and standard arms and armor. While not as fancy as a GM plant in Detroit, every city is likely to have some factories where large groups of workers come together to make one line of products. Each will have its own environment with roaring forges, giant vats of chemicals or a stench that fills the street. Just like modern cities, every big city is likely to have neighborhoods of a particular ethnicity or race. How about an area frequented by halflings, where a typical four-story building is converted into a six-story building with extremely low, halfling-sized ceilings. In many cities, ground space is so scarce that its inhabitants create gardens on the top of their roofs. In a fantasy world, this can be expanded into a rooftop forest, complete with trees, ponds and forest inhabitants. The roofs, all connected by bridges and/or woven-together tree limbs, provide a strange setting for urban-based druids and fey. The mix of nature and cityscape can provide stunning visuals, with tree roots spilling over or through buildings and moss and ivy covering walls. After reading issue #140 I decided to write in. Last night I was trying to find a background for a group of NPCs I was creating, as well as help several new players come up with backgrounds for their PCs. I found music to be a great inspiration. The idea is to find a CD with music that you think would reflect your character. If you can’t find it on one CD then burn multiple songs from multiple CDs onto one volume. Then make your character while listening to the music. When fleshing out his background assign a portion of his life to each track. This also gives the GM a feel for what was going on and what was going on in the character’s head. Many music themes and genres can be used depending on the setting of the campaign. Ones I’ve found useful were movie sound tracks, such as Gladiator and Braveheart, and video game sound tracks. The Silent Hill game is great for an overly corrupt villain and Parasite Eve is good for an upscale noble villain. The soundtrack to Lunar:Eternal Blue Complete would be great for making an exotic paladin. I just thought I’d share something I did to bring together characters in a Dragonball Z RPG. Since the premise behind Dragonball Z is fighting I started everything off with a grand tournament. Not only does this provide an excuse to bring different people from different walks of life from all over the planet into one place, it helps new players become familiar with the combat rules. Starting a campaign off with some sort of tournament also has other advantages. It can create rivalry between certain PCs and NPCs. It allows players to develop a style of playing while not worrying about dying (if it’s a civil tournament that is… we’re not talking Roman gladiators here). It also gets the players into the action almost immediately while giving them something to strive for (recognition as the winner of the tournament and perhaps some prize money). Obviously, this idea could be used in more than just a Dragonball Z RPG. I just thought I’d share it with everyone, as it worked great! This topic is as vast and complex as there are people in the world! Who was it that once said, “I love humanity, it’s people I can’t stand?” Here are a few suggestions for working with a mixed group of players and getting the most fun out of a gaming session. Learn What Each Player Wants Out of the Game and Honestly Evaluate Your Ability to Fulfill that Need. Some players want combat, some want politics, some want exploration and wonder, some want romance, and some just want to solve puzzles. OK, if you can work in what each player wants into each game you will have a fairly satisfied group of players!If you can only work each player’s needs into every second or third game then you will still have a good chance of holding their interest. If you honestly can’t work their needs into your campaign then tell them up front and be honest. It’s better for them to build a different character with different expectations, or to even leave the group and find one where their playing needs can be met. After Learning What Everyone Wants, Do You Best to Give It to Them. Let each character shine and let their players shine! That will keep the players coming back, week after week. If a combat monster sits around bored while the other players just keep “talking and talking” then occasionally break things up and let him have his moment in the combat spotlight to shine. If someone wants to role play romance and just sits there during all of the action scenes, then do your best to introduce a romance integral to the plot. This way each character can shine in the moment where their own specific talents are needed.This also goes a long way to building “team spirit”. Each character will learn that they alone do not have all of the talents or skills needed to carry every situation.Conversely, there is probably no fate in hell worse then pouring your life and soul into a character description and background and then getting all of your hopes up only to find yourself in an endless string of monster fights and senseless violence. Perhaps you have a large group (6+) and some characters are getting a lot of attention while others are being ignored (for the moment). Those players will often begin talking about other topics, or telling RPG stories, or just chatting about school or whatever.One way to avoid this is to keep the game tension high so, even if not every character is immediately involved, they all want to know what is going on. Another method (which takes some set-up) is to have an assistant GM work with the other players while you move the plot along with the primary group. Of course, perhaps everyone’s just been sitting at the table for 5 1/2 hours solid and they need a break. It’s better to take a 30 minute break and get everyone back focused on the game then to try and bully tired people into silence. If you can, find out why they’re tired or negative.If it’s a once in a great while thing (someone stayed up too late the night before and is cranky) then don’t worry about it. Otherwise, watch for the in-game reasons why some players are becoming bored or negative with the game.Players want their characters to have “screen time,” so don’t leave anyone out. Players want their characters to really shine, so try to arrange for a situation where a characters strengths are highlighted. And players really want to make a difference.So, don’t ignore players’ actions in an effort to “railroad” the plot to where you want it to go. Let the players choose, even if that means sidetracking the main story for a little while. Also, try not to always have NPCs hanging about that are vastly more powerful and skilful so that the players actions, in comparison, are irrelevant or only incidental to the plot.Remember, the story is supposed to be *about* the PCs, not about villains and not about the NPCs’ valiant efforts to stop the villains. Trust me, it’s hard for a player to stay bored or become negative when their character gets to really shine and when their decisions actually make a difference to the campaign world they play in. I’ve seen very little advice concerning the logistics of finding, gathering, and officially recruiting players into a cohesive game group for local table-top RPGs. From my own personal experience I have had limited success despite my living in a University town that should have a fair sized gaming community. And in all my searches I’ve found that the most important key is *patience* and lots of it. It was Summer, and I had the classic sob story. My game group was breaking up with the majority of the group members moving away to the corners of the world (Japan, Vancouver, California) all in the space of a couple of months. Luckily, grief-stricken though I was, I had fair warning and had already put into motion a plan to attract new players. However, it took far longer than I had originally thought it would. A lot longer. I began my search in June and it is now mid-September. I’m still looking though I’ve enjoyed a fair amount of success. Initially, desperate for new players, I decided to go pot- luck. My first attempt at attracting new members was to simply post a “Looking for Players” notice at the local game store, but this proved mostly ineffective and after a number of weeks had passed I decided to take a more proactive approach. To the internet I went to scour the web for potential players. 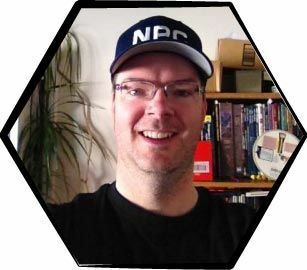 I was fortunate, and admittedly a bit surprised, to find a number of online Player Registries and RPG Player Databases (I’ll attach the links below, others may contribute further by adding sites that I’ve missed). My search led me to quite a few dead-ends and returned emails due to no longer used addresses (around 14-15), but inevitably I stumbled across a few brave (and local) souls who answered the mysterious call of a stranger to Game. So, 14 weeks later I find myself with 2 new players and a happily mended game group, temporary though it may be. We are still losing another player next week and the final one by November. Thus, my searches continue in earnest to fill those forlorn and empty seats at the other end of table. Now I’d like to hear how others have faired in their own attempts and what they did to attract new and veteran RPGers alike! Just to chip in my 2 dice on this….I may not be thinking of what Yettiman was, but I was reminded of a randomizing system used in a pair of old game- books I had (featuring Fafhrd and The Grey Mouser, in fact).The back cover of each book had a 20×20 grid of numbers that went from 1-20, thoroughly randomized. Each row AND each column included the numbers 1-20 once each.To “roll” using this chart, both you and your partner (the 2 gamebooks were designed to be played simultaneously) each chose a number from 1-20 aloud at the same time. Then you looked up the appropriate grid reference and voila! Random d20 roll.Such a grid designed for each of the primary dice could work quite well, especially as the “roll” cannot be made alone, and thus is subject to verification. In response to the ‘random table of digits’ item in Tips #140, try http://www.random.org for a good explanation of randomness, various ways of generating random numbers, and a few tables of random numbers – it’s well worth a visit. Get a photocopy of a random number table. 🙂 Most university students need a stats course, it’s in the textbook somewhere (probably in the appendices), or just get one from a stats book in the library. Pick ANY starting point and direction and keep going. Treating “0” as 10, “00” as 100, “000” as 1000. Disregard numbers which are too big (like 34 on a d20) and add modifiers as usual.